Don’t let its light weight fool you. 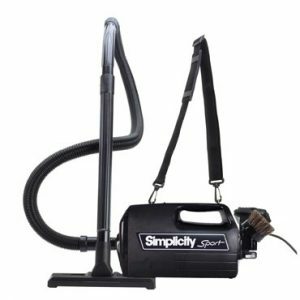 The Freedom Premium is one powerful machine with lifetime belt protection, a 40-foot power cord to reach one room after the next and all the “wow!”performance, durability and convenience features you expect from a Simplicity Vacuum. The Premium model features a metal brushroll with replaceable brushstrips you can tailor to your flooring, whether it’s wall to wall carpet or hard wood with area rugs. Redesigned with a hard case outer bag, the Freedom now features the self-sealing HEPA media bag system, so changing the bag is simple and clean. The Freedom Premium also comes with a 5-year warranty and 2 free Very Important Vacuum service plan checkups.